Having finished up (at the Steam Gala) in Norfolk we washed the soot from our hair and eyes, and headed south once more, toward Heathrow (so we could drop one of our traveling companions off for his journey home). 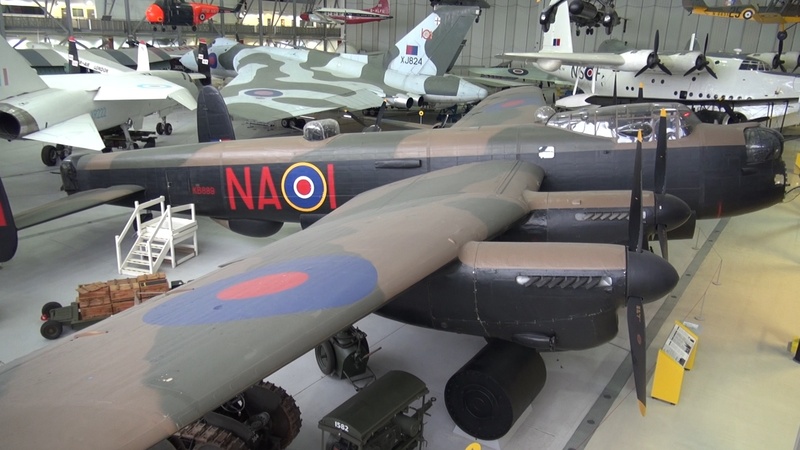 This gave us the opportunity to stop off and have a look through the Imperial War Museum Duxford—one of the best known warbird aviation museums in the UK. Spitfire Mk.1 in the Air and Sea display hall. Duxford is Britain’s best-preserved Second World War airfield and it has a history that stretches back to the First World War. A number of historic hangars and buildings sit alongside a couple of more modern exhibition buildings and the museum also has a significant collection of tanks, military vehicles and artillery in a Land Warfare exhibit. There are a number of shows on at Duxford throughout the year, with the annual Flying Legends airshow being one of the aerodromes most famous flying events. Hawker Hurricane in the Air and Sea display hall. Entry into the museum is not cheap at £17.50 and so our expectations were set pretty high. Unfortunately we’d have to say that the reality didn’t quite live up to the hype (or the cost). 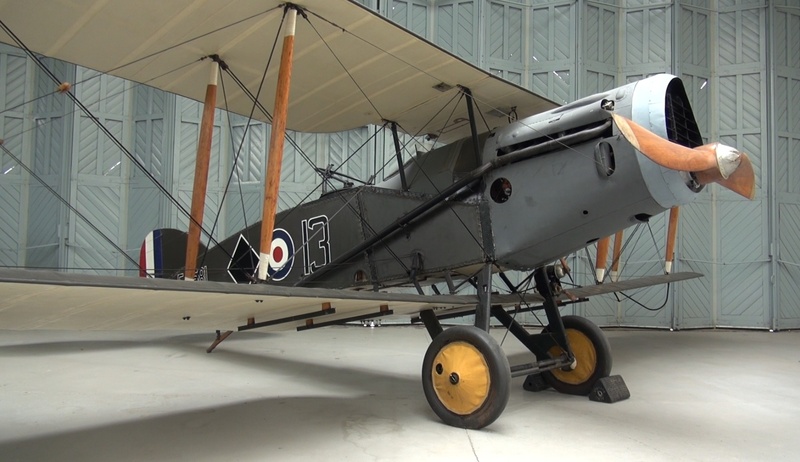 There are certainly some fantastic (and unique) aircraft at Duxford, and we’re quite happy to have visited the facility once, but it’s fair to say that we’d struggle to justify a second visit, particularly when entry into the two RAF Museums (London and Cosford) are free. Bristol Fighter F.2b in the Battle of Britain display hall. The first thing that struck us with the museum at Duxford was that some of the displays didn’t make a lot of sense. For example, the building labelled as the Battle of Britain display hall does contain a number of aircraft from the summer of 1940 period, but also contains a World War One-era Bristol Fighter F.2b, along with a collection of more modern jets. 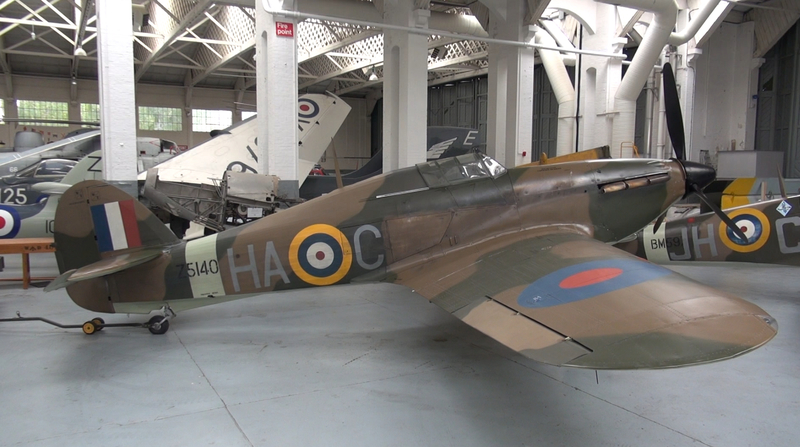 Yet the main AirSpace display hall contains a number of World War Two aircraft (Lancaster, Mosquito, Swordfish etc) that have much more in common with the Battle of Britain aircraft than the Bloodhound Missile, Hawker Hunter and the modern jet aircraft that are housed there. Lancaster, Vulcan and Sunderland flying boat in the somewhat cluttered AirSpace display hall. The other problem, mainly in both the AirSpace display and the American Air Museum exhibit, is that there are simply too many aircraft in too small a display space. This means that it is not easy to see the aircraft well, and in many cases it’s not easy to actually compare and contrast the different aircraft that are on display. In the American Air Museum we were two-thirds of the way around the display hall before we realised that there was a Boeing B-29 Superfortress on display—one of the largest operational aircraft during the Second World War and it was virtually hidden because of all the other aircraft on display alongside, above and beneath it. Hiding a B-29 is not an easy feat! Having said all the above, we must point out that we did enjoy our visit to this historic airfield, and as noted there are many unique aircraft on display, so it is worthwhile taking a look if you’re in the area. You just need to be prepared for the fact that some of the aircraft are not displayed as well as we’ve seen at some other museums. As it turns out you also need to be prepared to do a fair amount of walking—the various display halls are spread out over a considerable distance—but it is always good to get out of the car and get a bit of exercise! 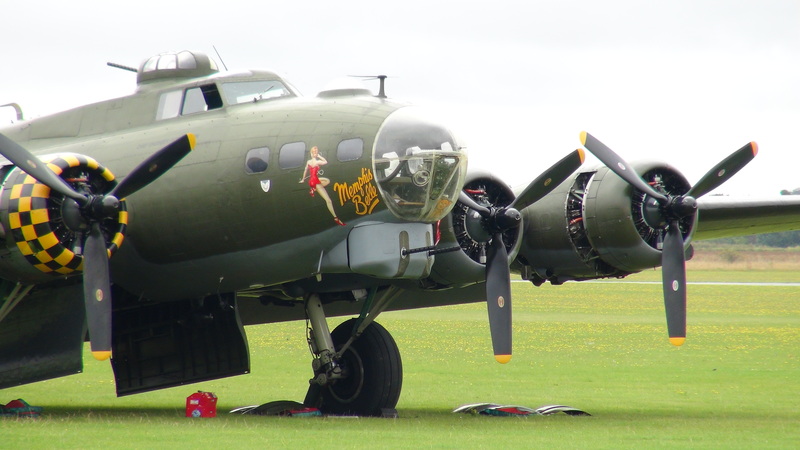 Boeing B-17 Flying Fortress on the airfield at Duxford during our visit. Unfortunately she didn’t fire up her engines while we were there! 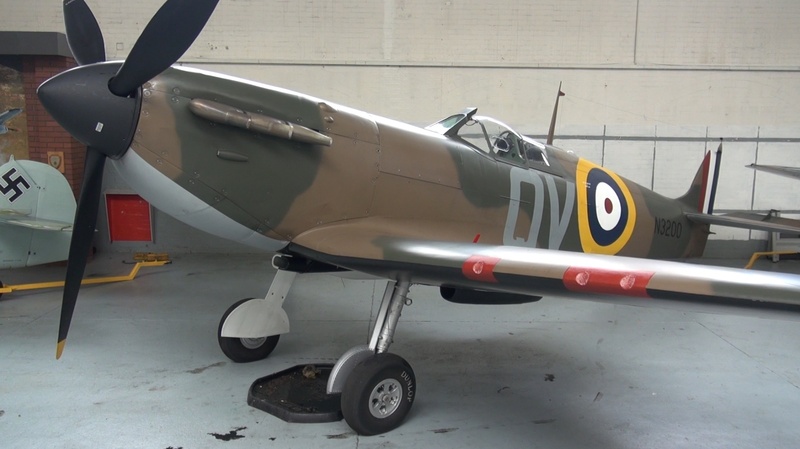 This entry was posted in UK Tour and tagged battle of britain, duxford, hurricane, raf airfield, spitfire, vintage aviation, warbird aircraft on September 15, 2014 by Historical Aviation Film Unit.